Ellsworth M. George, 72, of Mt. 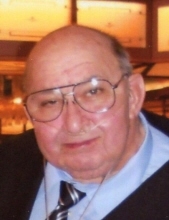 Carmel, PA passed away at his home on Sunday, January 20th, 2019. Born in Ashland, PA June 10, 1946 the son of the late Ellsworth W. and Margaret (Prentice) George. He graduated from Mt. Carmel High School in 1964 and he served in the U.S. Air Force. He worked at Standard Press Steel and later at the PA. Dept of Education & Labor. He was a member of the First United Presbyterian Church in Mt. Carmel. He was also a member of the V.F.W., American Legion, Moose, Elks, Eagles, Cedar Lodge No 378, Scottish Rite, Clover Hose Co., Brady Fire Co, Board Member and Past President of the Mt. Carmel Cemetery Company and an avid pool shooter. Ellsworth is survived by two sisters and two brothers: Beatrice Topolski and her husband Leonard, Ranshaw; Janet Donduro, Mt. Carmel; Charles George, Mt. Carmel; and Austin George of Trevorton,PA. Nieces and Nephews. Preceding him in death was a sister, Margaret in 1950 and brother, James in 2007. Funeral services will be held on Thursday, January 24, 2019 at 11:00 AM at the First United Presbyterian Church, Mt. Carmel, PA, with Rev. Joan Brown officiating. Interment at Mt. Carmel Cemetery Mt. Carmel, PA. Viewing will be Wednesday January 23, 2019 from 6:00-8:00 P.M. at the Rothermel-Heizenroth Funeral Home and from 10:00 - 11:00 AM on Thursday in the church. Masonic Services will be held on Wednesday evening at 7:00PM at the funeral home. To send flowers or a remembrance gift to the family of Ellsworth M. George, please visit our Tribute Store. "Email Address" would like to share the life celebration of Ellsworth M. George. Click on the "link" to go to share a favorite memory or leave a condolence message for the family.